Jupiter's moons, it's a great time to be a radio drama fan! 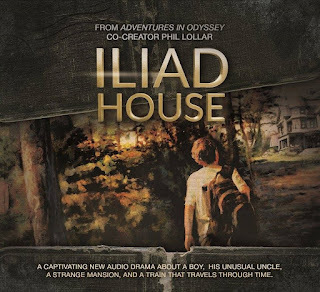 Adventures in Odyssey's co-creator Phil Lollar has just released the first season of his brand-new series, Iliad House. After a successful Kickstarter campaign in 2013, fans have been waiting both patiently and not-so-patiently for these episodes to be released. The wait is finally over! Fourteen-year-old orphan Jesse Davidson lives with his emotionally-distant and peculiar uncle Christopher Portalis in the Iliad House, a mysterious old mansion on an island off the east coast of the United States. Just when Jesse is finally getting used to living on the island, he discovers that the old abandoned train he and his friends have been using as a clubhouse for the past year can actually move - through time! This is a one-of-a-kind radio drama unlike any you've heard before. If you like mysteries, history, and lots of action, you're sure to enjoy Iliad House. Need more incentive? You'll be happy to know that Phil Lollar plays several roles and some other familiar voices (Katie Leigh, for example) from other shows appear as well. There are also several actors new to the radio drama scene that do an excellent job as well. 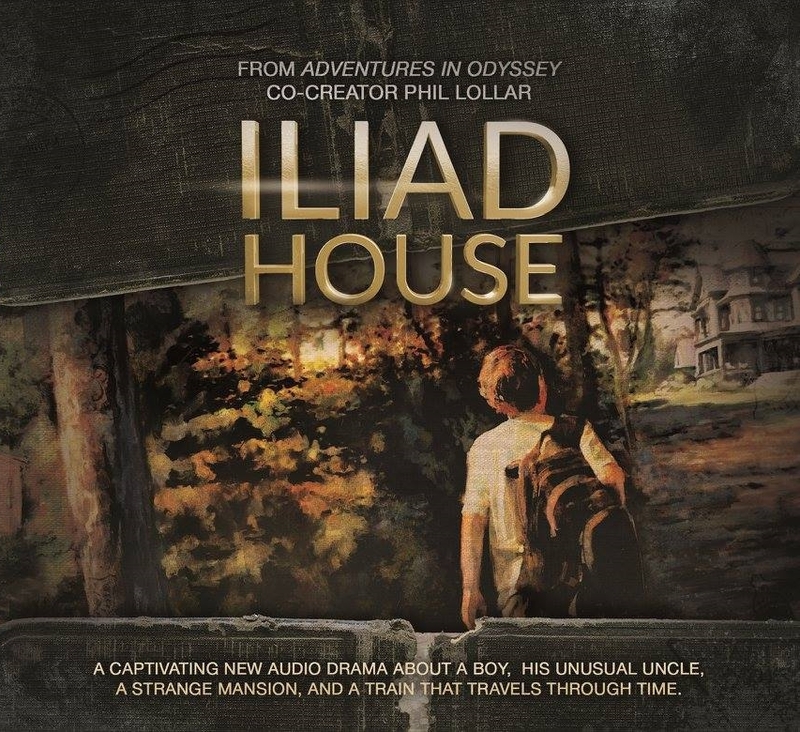 You can begin your journey by getting Season 1 of Iliad House on their website or on iTunes. Remember, this is an independent radio drama series so the only way they can make more episodes if people buy it and tell others about it.